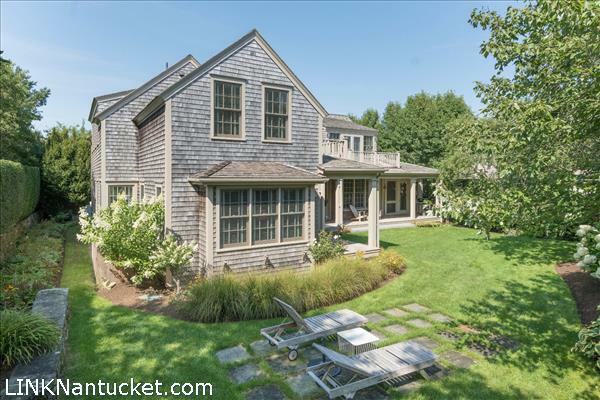 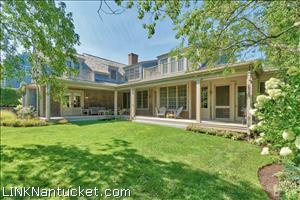 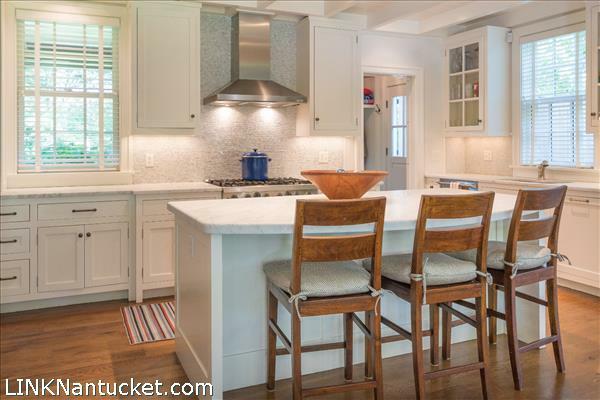 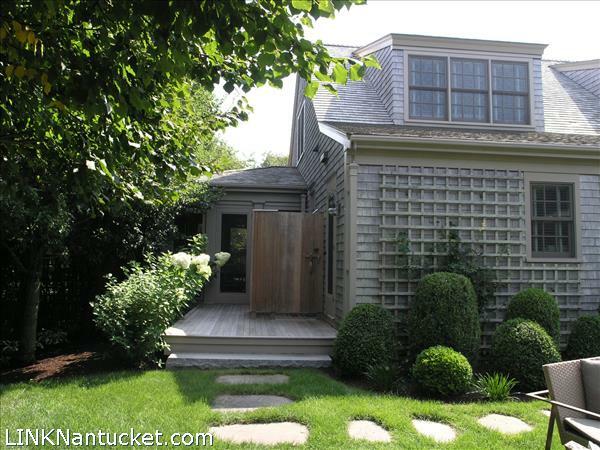 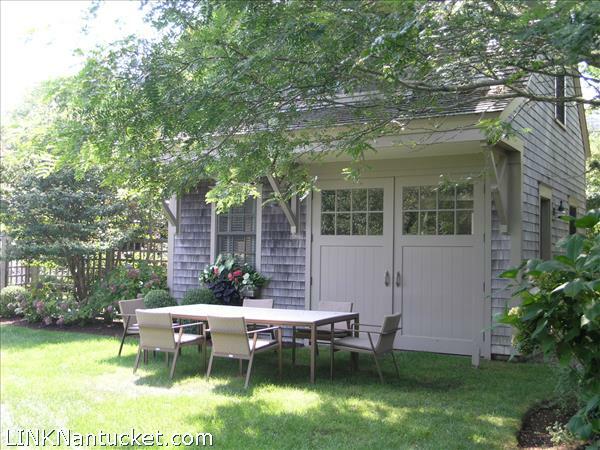 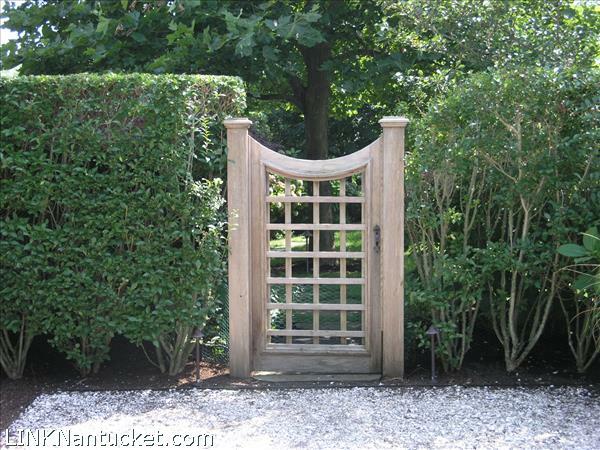 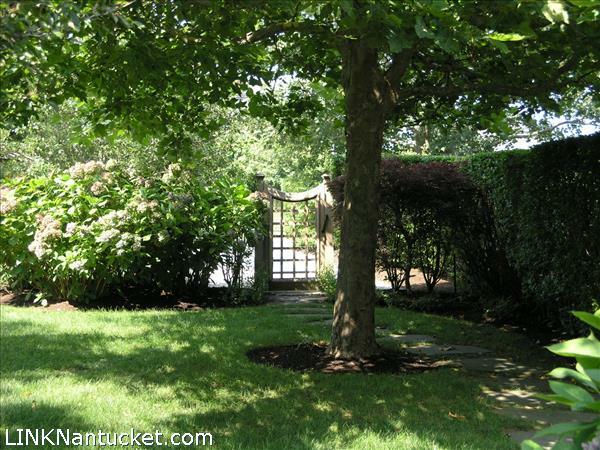 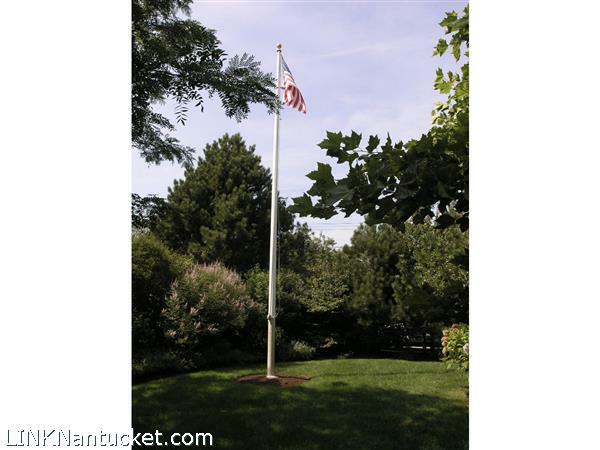 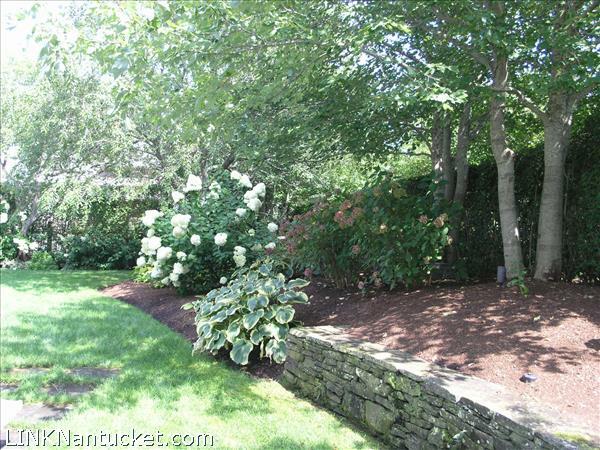 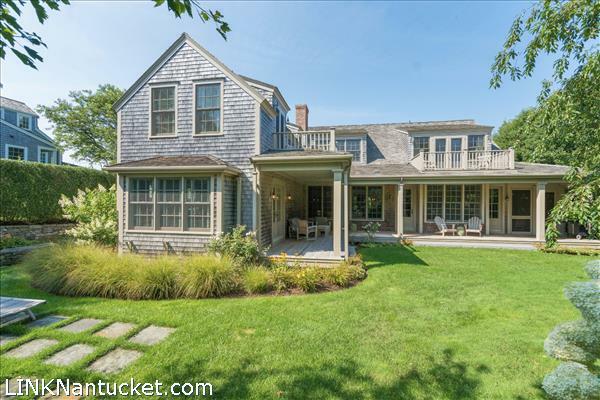 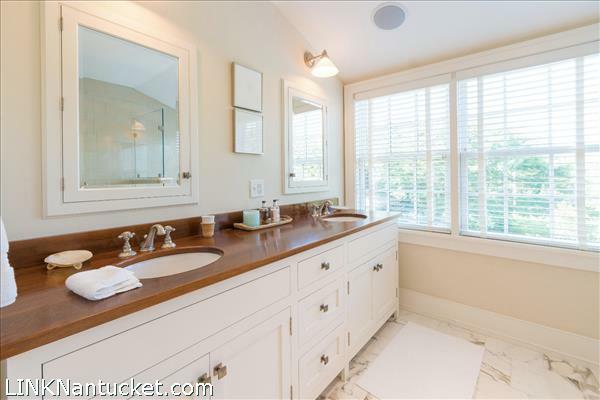 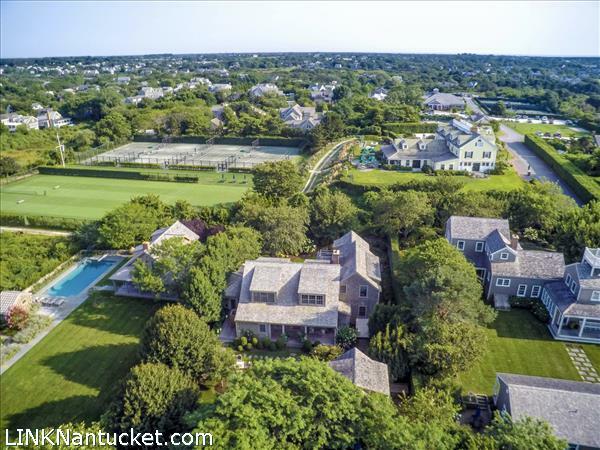 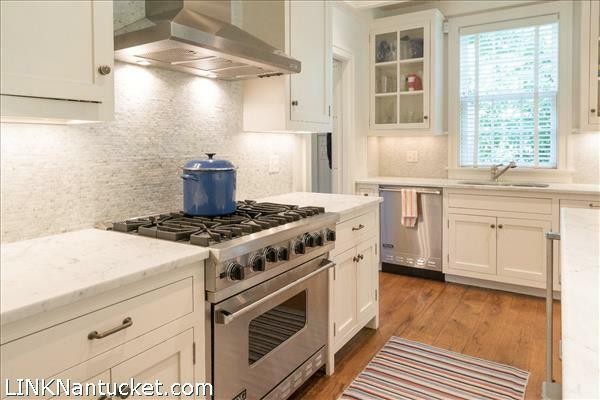 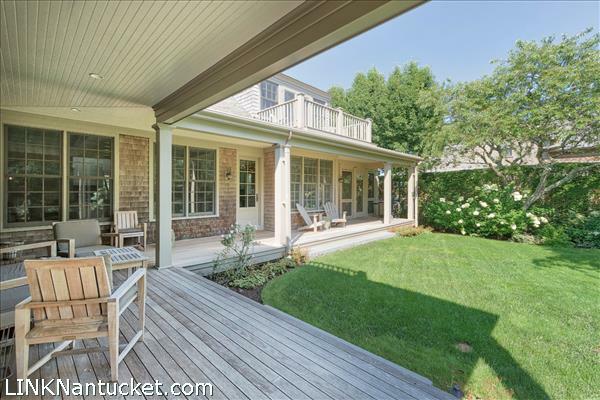 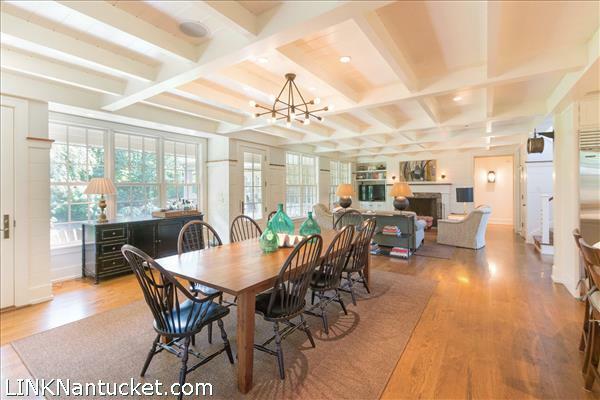 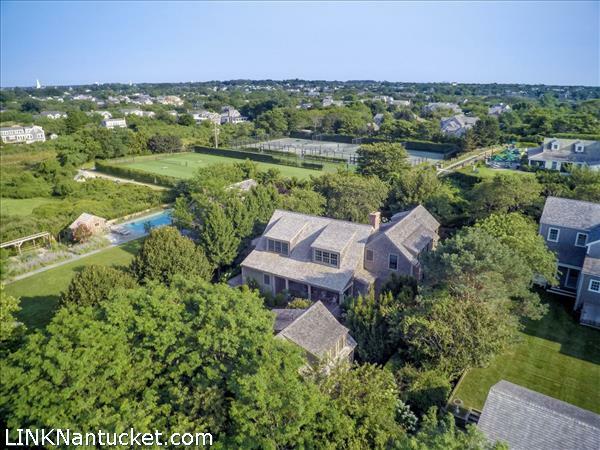 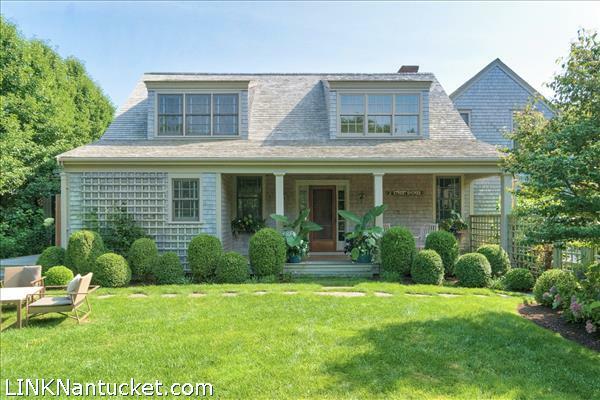 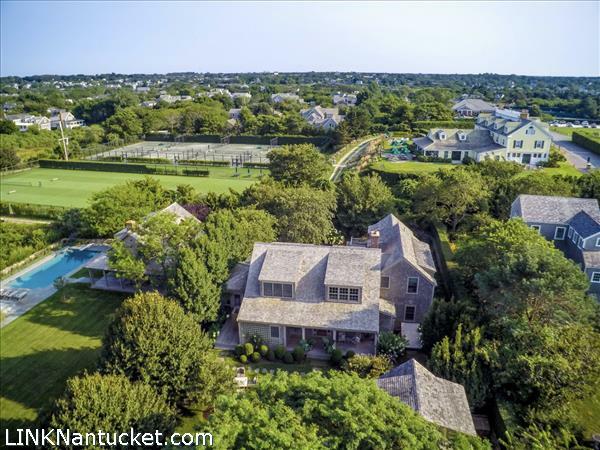 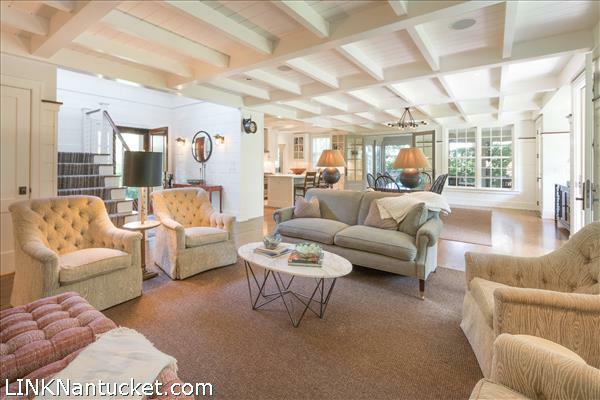 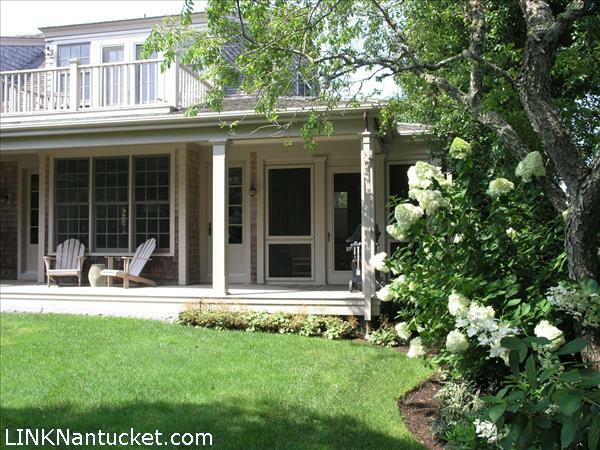 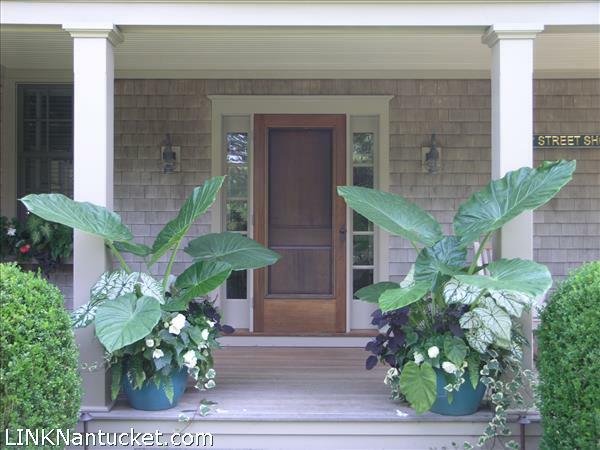 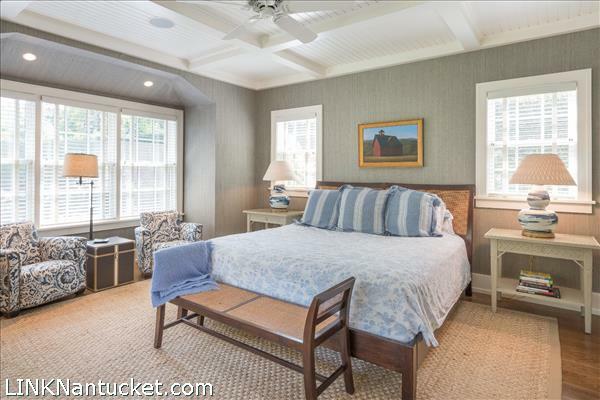 Enchanting oasis, secretly tucked in a fantastic setting filled with gorgeous flowers and mature trees in one of Nantucket’s finest neighborhoods. 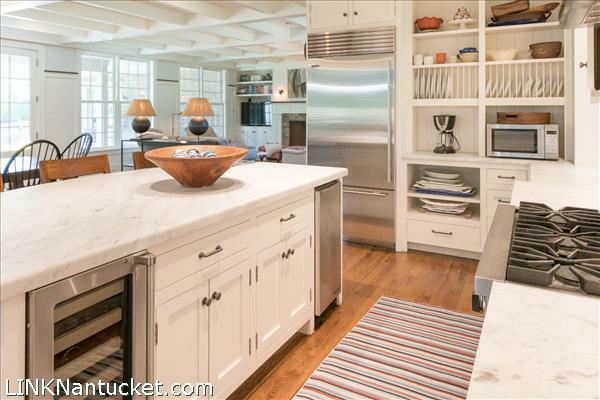 Beautifully built modern home with classic quality touches. 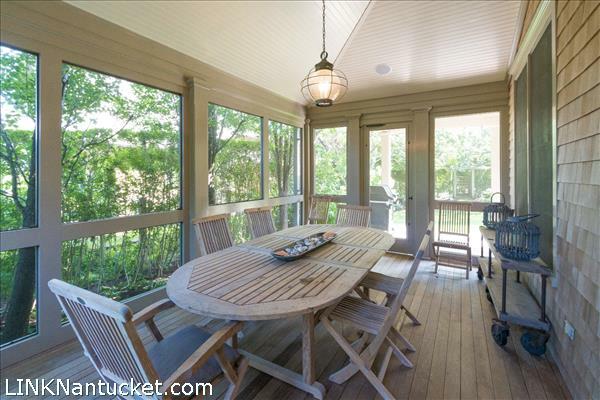 Expansive lawns and outdoor areas including multiple porches and decks. 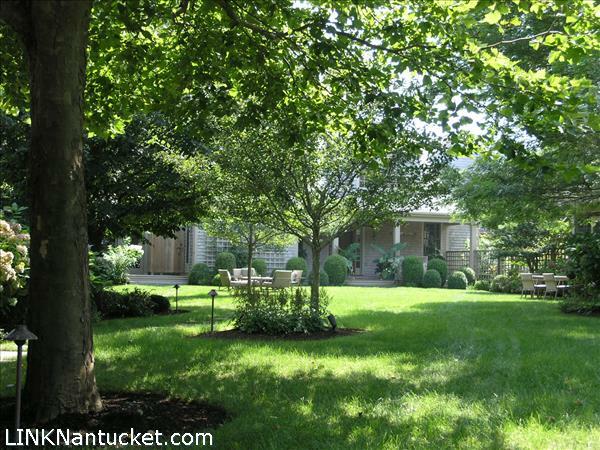 Seclusion guaranteed as the property abuts 15 acres of green expanse at The Westmoor Club. 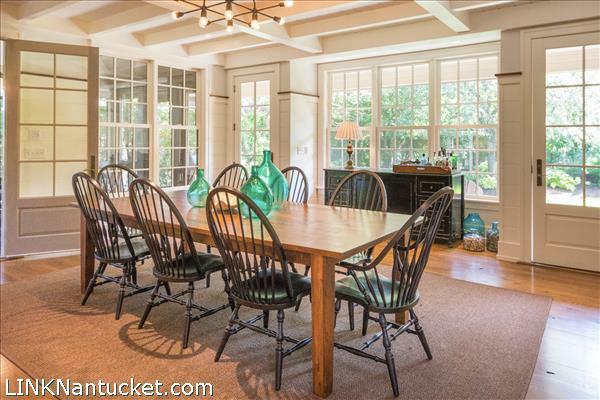 Certainly a special place to entertain friends and family. 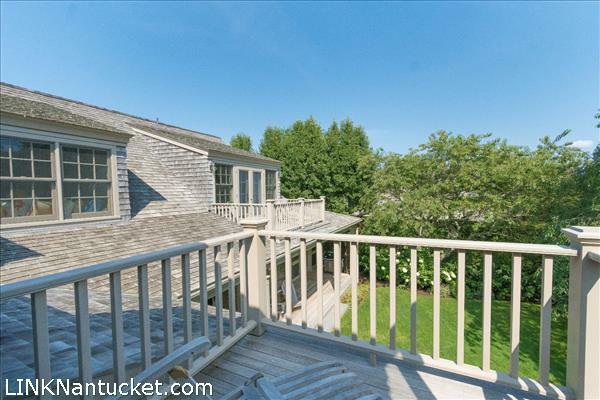 4 bedroom suites in the main house plus another above the garage for a total of 5. 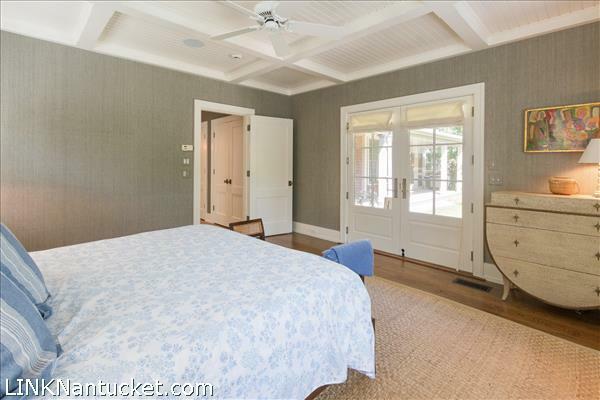 Any 3 of these suites could serve as the master bedroom. 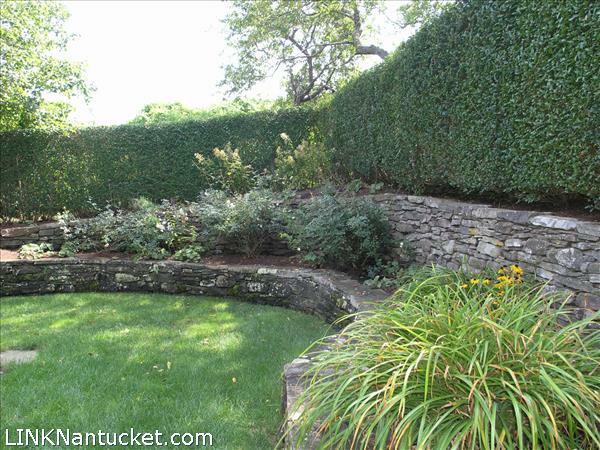 Large front and rear yards with extensive stone walls, a fenced zen like rose garden, two outdoor showers and direct access to The Westmoor Club through the back gate. 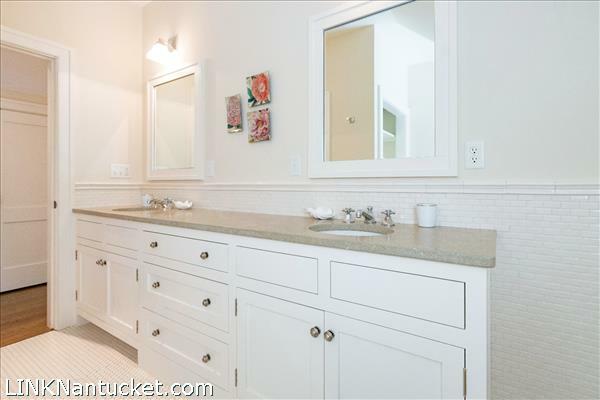 Basement: Great potential to finish with options for bedrooms as well as any other desired use. 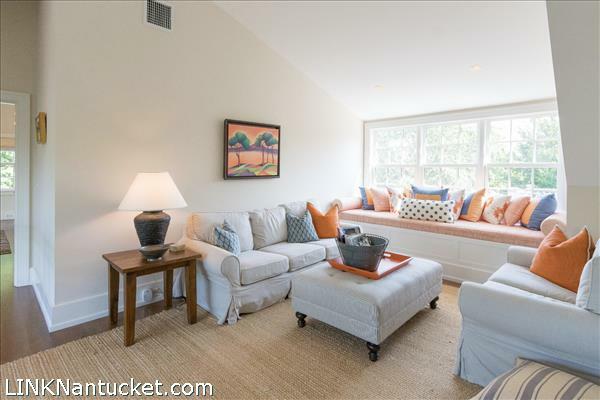 Rough framed for a media room. 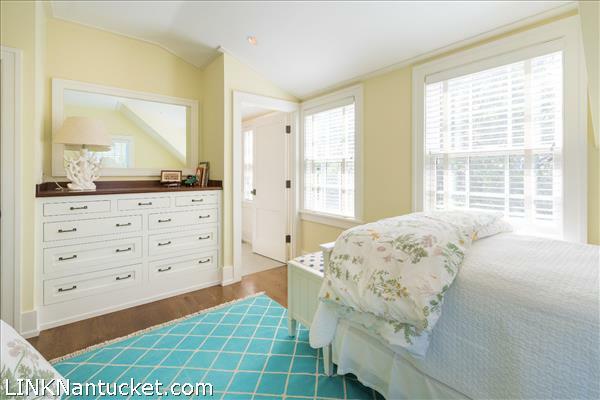 Full sized windows for additional bedrooms, and multiple storage rooms. 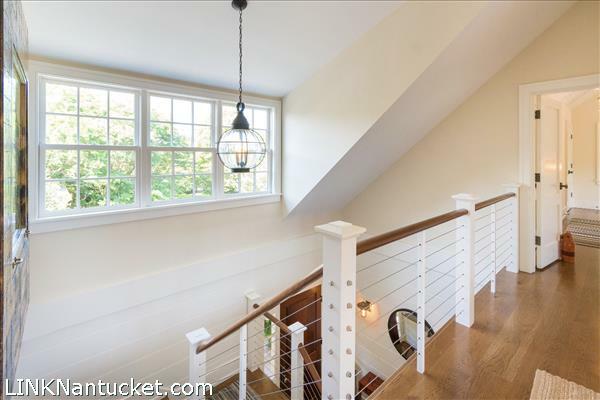 1st Floor: From the covered porch enter into the front foyer. 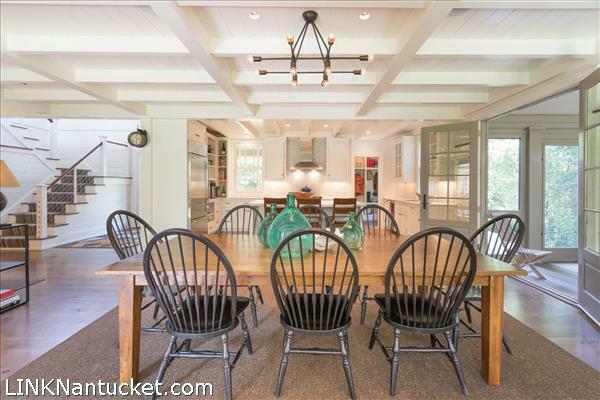 The living room is directly ahead and open to the dining area, the bright modern kitchen and rear and side porches. 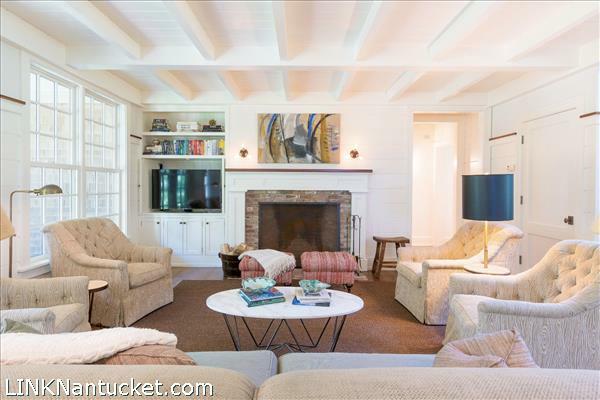 The living room has a wood burning fireplace and beamed ceiling. 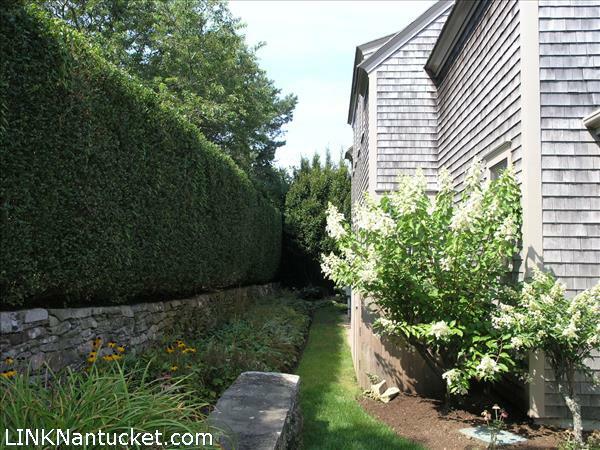 A wall of windows overlook the rear yard and gardens. 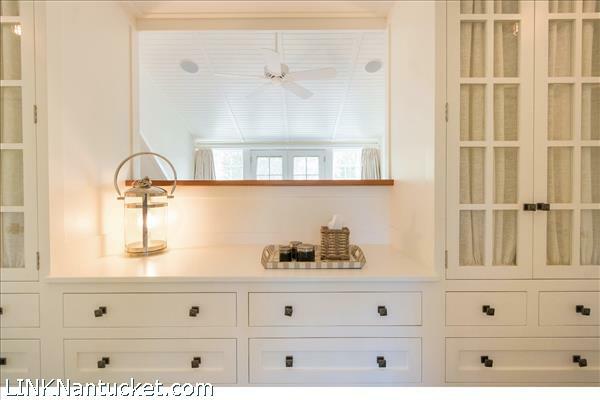 There is a Master Suite and a large comfortable office with built-in casework for TV, books and storage. 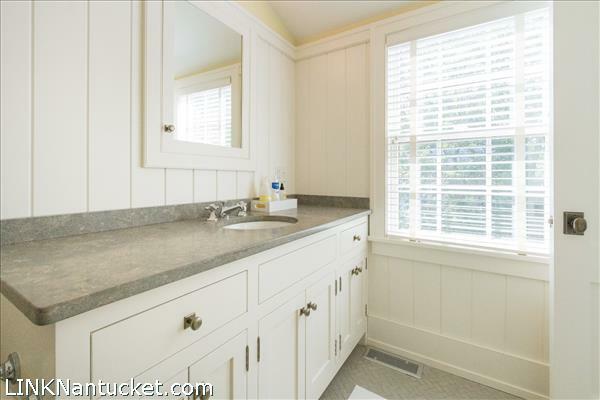 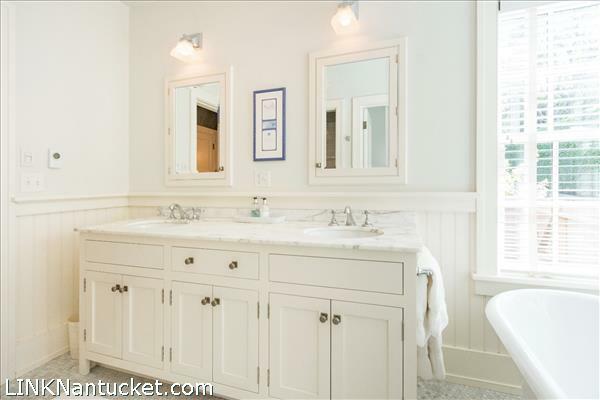 There is a powder room, mud room with side entry off the kitchen and a laundry room. 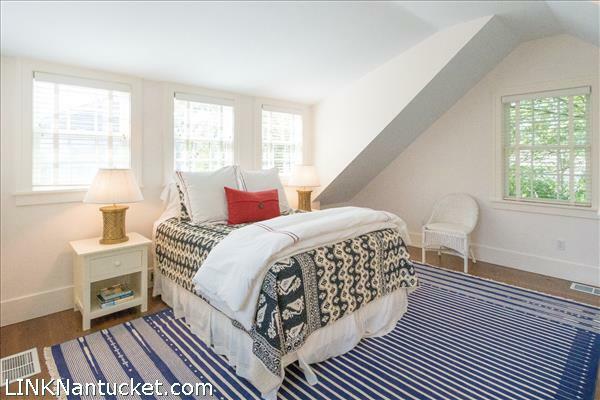 2nd Floor: The 2nd floor landing is a bright and inviting place to relax. 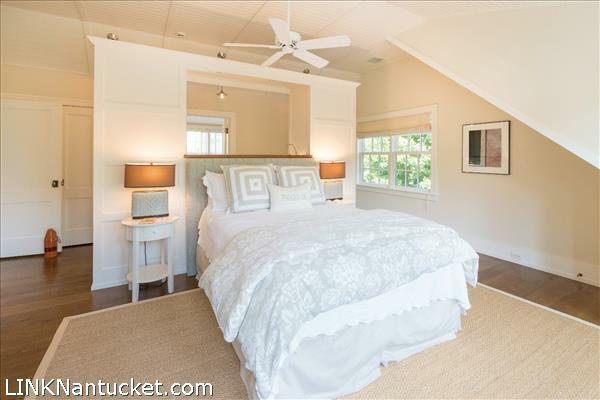 There are 2 suites that are suitable to be used as master bedrooms. 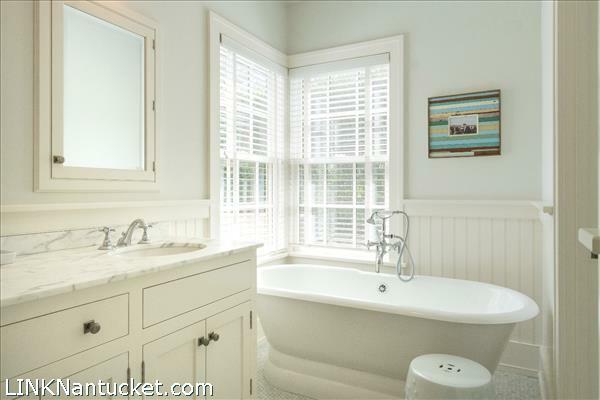 Both of these bedroom suites have private decks and attractive baths. 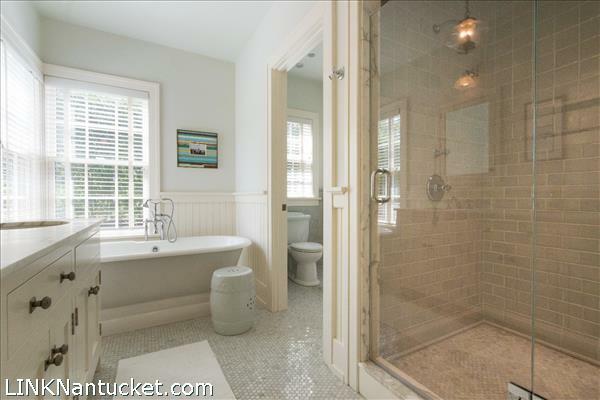 There is also a twin bedroom with en-suite bath. 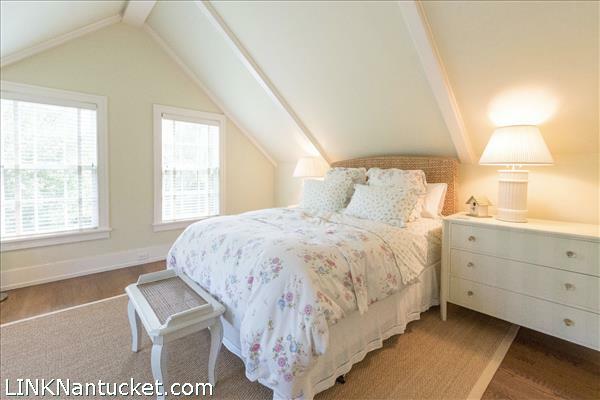 Other Structures: The over sized one car garage has an attractive 2nd floor bedroom and bathroom. 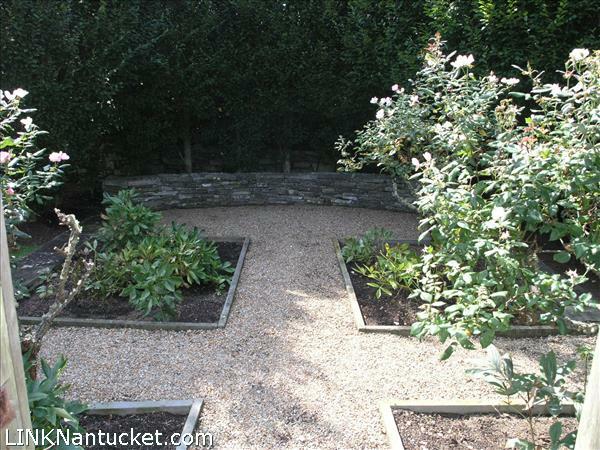 This studio is accessed through the rose garden and has it's own private outdoor shower. 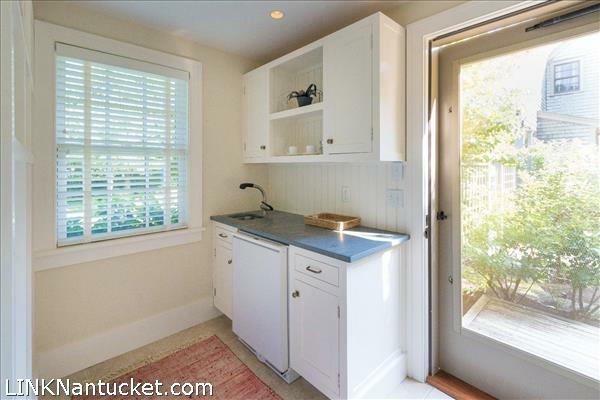 Ideally suited for guests or live-in help. 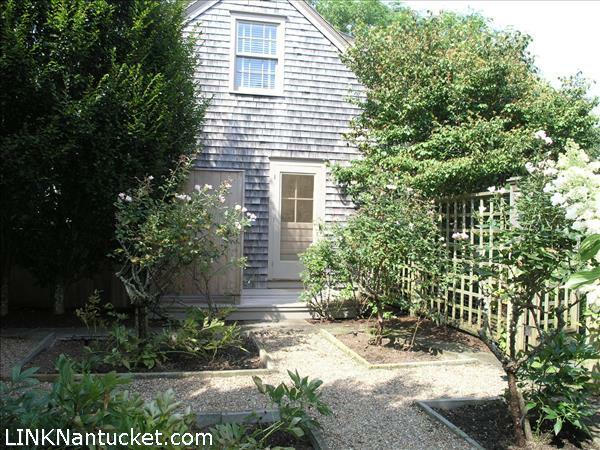 Second Dwelling: Studio Cottage/Garage. 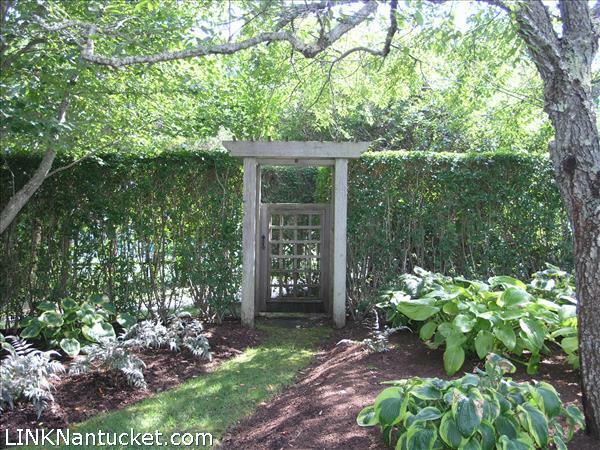 Access through beautiful private fenced rose garden. 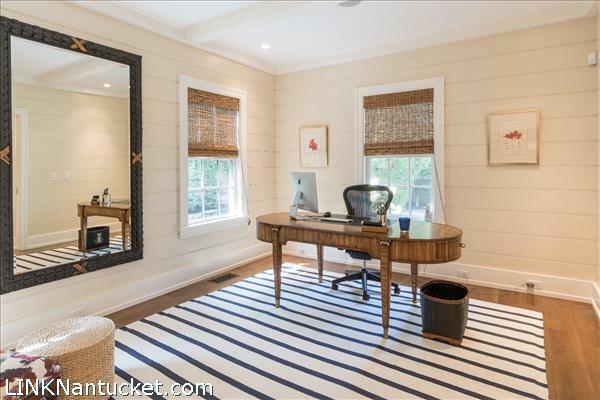 Listing has been viewed 809 times.